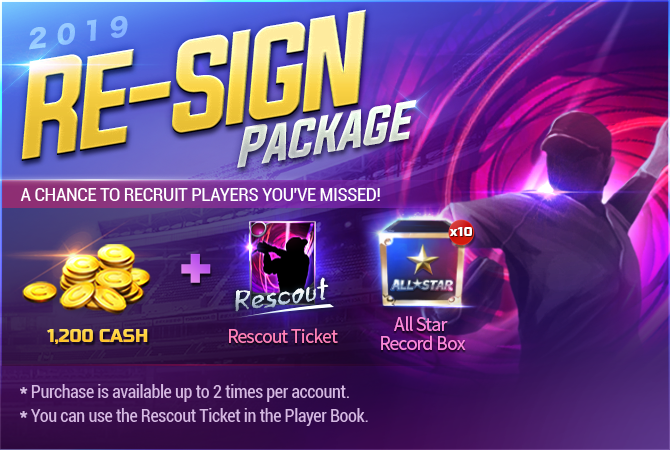 We are happy to introduce our Re-sign Packages! ※ Can purchase up to 2 times per account. ※ You can use the Rescout Ticket in the Player Book.